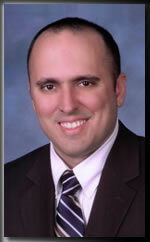 Miami DUI Attorney Dennis Gonzalez Jr. offers experience DUI Defense and Criminal Defense in Miami-Dade County. Mr. Gonzalez is a former Miami-Dade County Prosecutor and has trial experience handling a wide array of Criminal, traffic, and DUI cases. Mr. Gonzalez’s Law firm will accept 24 hour phone calls and text messages. Next What do you all think of "Our City Thoughts"?